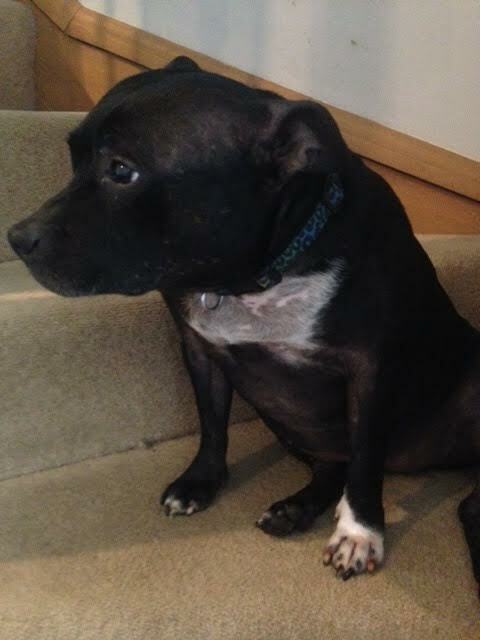 Izzy 8 years sbt needs a new home, Kent area. Hello my name is Izzy. I am a typical staffy, if not a little on the tubby side! I love to get my nose in everything I can and I am good on the lead. I am a very loving dog, and love to play and meet new people. My favourite thing though, is a good stroke and a tickle. I know a few commands, including, Sit, Stay and leave. I have grown up with all ages of children, so I am pretty used to them, but would want to meet them before living with them! Although I have never lived with a cat, I do like to chase them when I am outside on walks ... well, what dog wouldn't?! BOL. I walk past dogs OK, but can be a little scared if they run at me, so they say you should be a little cautious. Izzy is spayed, vaccinated and microchipped . pending a successful home visit. However any adopter should be willing to travel to meet Izzy where she is now. Izzy is on our Matchmaker Scheme which means she is still with his present owner. As she is on the Matchmaker Scheme, and not directly in our care, the adoption donation is a donation of your choice. Any money donated will be used to help the Senior Staffys in our care who have no one else to help them. or call Wendy on 07505010823. 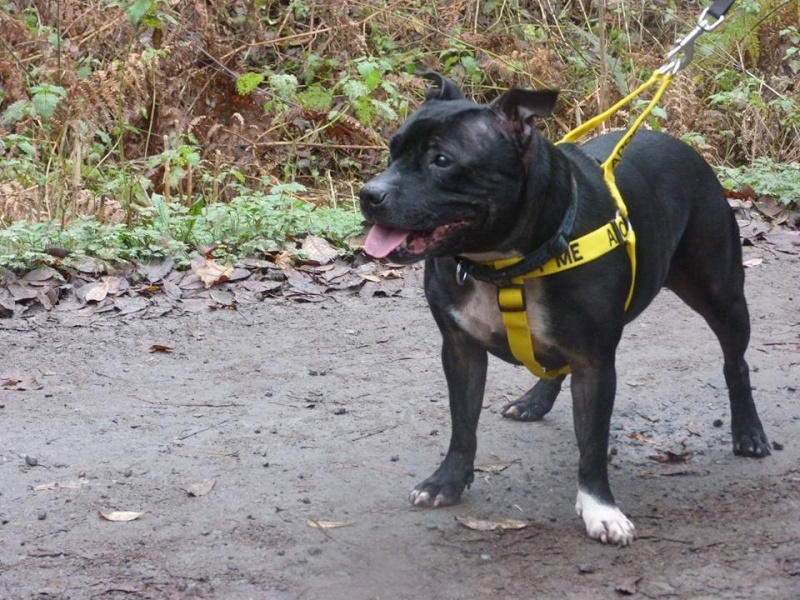 Re: Izzy 8 years sbt needs a new home, Kent area.